Get out the plastic horseshoe set for an active day at Pismo Beach, where you can search for the famous Pismo clam or let your toddler (and Dad) gush over classic cars. When you’ve had enough sun, sit under the pierside wooden boardwalk for instant shade or walk through the kitschy souvenir shops. Atmosphere: Pismo Beach gets a lot of travelers from inland Central Valley cities, as it’s the only real beach community near them. Others come to ride off-road vehicles further south in the Oceano dunes, surf or play volleyball on the wide beach. The city of Pismo is trying to upgrade the beach experience, but there are a few areas that have that perhaps-too-casual surfer vibe. Parking and Entrance: Park in the pier-level pay parking lot or pay parking spots on Pomeroy Avenue. For easy beach access, park in the southern side of the pay lot and walk down the ramp to the beach. Wooden stairs are elsewhere. Nice Walks and Views: With the baby carrier, you can walk north for a while down the beach, admiring the growing bluffs as you come into Shell Beach. You can also see several piers off in the distance. For a nice view, sit on the Pismo pier or one of the recently constructed pier-level wooden boardwalks, which have benches to encourage sitting or eating and watching the waves. 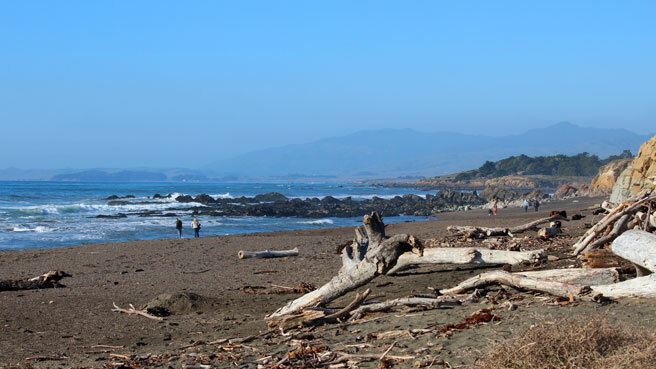 Activities for Toddlers: Take your toddler to Dinosaur Caves Park in Shell Beach, a big blufftop park with dinosaur eggs, sea creatures and a green belt. There is also Monarch Grove at the most southern end of Pismo Beach, where your toddler can be surrounded by orange and black Monarch butterflies who congregate here in the winter. Bathrooms: Bathrooms are at the foot of the pier right off the parking lot. Several showers are close by, with shells embedded in the concrete. Perks for Parents: Get your sugar fix at Pismo Beach Candy Co. on touristy Pomeroy Avenue. There’s also a bowling alley and several dive bars, if you’re looking for a little nightlife while baby sleeps in his stroller. Where to Stay with Kids: Stay at the oceanfront Sandcastle Inn, steps from the beach. They have a complimentary breakfast, free WiFi and cookies and fruit in the lobby. Baby-friendly Restaurants: Treat baby to the best clam chowder ever at Splash Café, a seafood restaurant so famous for its chowder bread bowl that it actually will ship it frozen to your doorstep. Lines are sometimes out the door and around the corner, but its perfect on a foggy day. 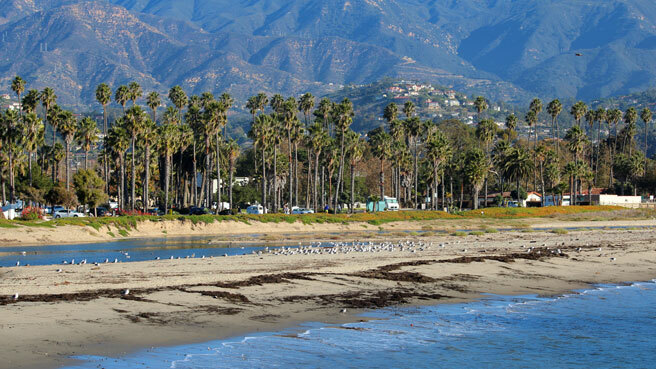 What Else to Do: Plan your visit around a classic car show or the Clam Festival to enjoy the best Pismo has to offer. 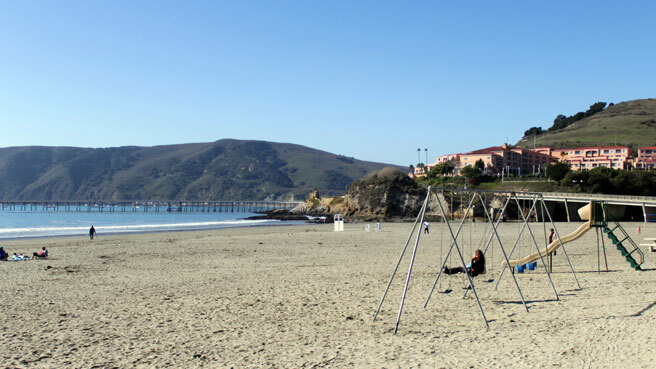 Spend some time exploring the family-friendly barns and calmer waves in Avila Beach.